Wayne Rooney is one of the best players to have ever played for Manchester United. The former United captain is currently playing for DC United in the USA. In a recent interview, he said that Louis Van Gaal was the best tactical manager he has worked with. It will be surprising for many, considering Rooney had played under one of the best managers of all time, Sir Alex Ferguson. He also spoke about Ferguson's successor David Moyes. United struggled to find a perfect manager after Sir Alex Ferguson retired. David Moyes was Ferguson's successor but he was sacked after just 10 months in the hot seat. Rooney played under Moyes in Everton before moving to Manchester. After a temporary stint of Ryan Giggs as United manager, Louis Van Gaal was appointed as United's manager. Louis Van Gaal managed United for two seasons and won the FA Cup in his last season. Speaking about the Dutchman, Rooney said: “He was tactically the best I have worked with – in terms of setting you up in a shape defensively and everyone knowing their roles," Rooney said about Louis Van Gaal. “It was just about getting the attacking side right as well as the defensive side." He then spoke about David Moyes, under whom he played at both Everton and Manchester United. 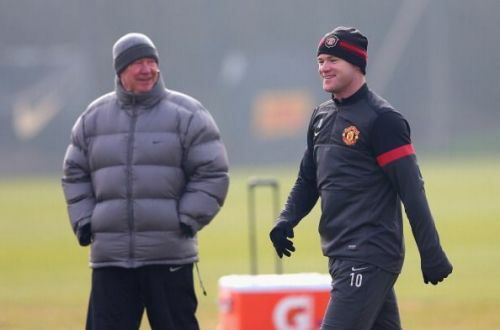 “I think Moyes was a bit of a surprise choice but his record at Everton over ten years was great,” Rooney said. “He got them into the Champions League, finished top half almost every year and did a fantastic job." Rooney is one of the few players who was part of both the brightest and darkest days of Manchester United. He is currently showcasing his skills in the United States. Manchester United on the hand seems to have found their soul back in Ole Gunnar Solskjaer. Major League Soccer: how is it different from the top flight European football leagues?